The 921 WLHR Business of the Week is Franklin County Eye Care . Franklin County Eye Care is a VSP vision provider with a full-selection of frames and contact lenses. Seniors 65 years and older get 25% off a complete pair of frames and lenses everyday. Franklin County Eye Care is located at 13375 Jones Street/Hwy. 17 in Lavonia. If you have questions or need more information, you can call 706-356-0206. 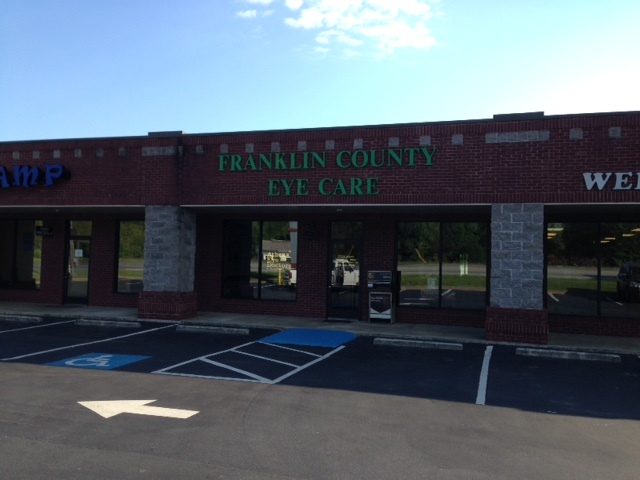 We are proud to present the 921 WLHR Business of the Week, Franklin County Eye Care. We salute the 921 WLHR Business of the Week, the Hart County Chamber of Commerce. They promote the businesses, groups, and activities of the area to improve the experiences of those living and visiting Hart County. The Blue Ridge Chapter of the Antique and Classic Boat Society & Hart County Chamber of Commerce proudly present the 2019 Lake Hartwell Antique Boat Festival on Saturday, April 13th from 10 a.m.-3 p.m. at the Hartwell Marina. There will be good food, great music, kid activities, crafts and beautiful antique boats at this family friendly event. Admission is free! Parking is $5 per car. For more information about this event, or becoming a member of the Hart County Chamber of Commerce, visit https://www.hart-chamber.org/ . We are proud to present the 921 WLHR Business of the Week, Hart County Chamber of Commerce. The 921 WLHR Lake Hartwell Radio Business of the Week is Wholesale Furniture Outlet in Royston, GA.
Why Drive Out of Town When Everything You Need For Less is at Wholesale Furniture Outlet? They offer living room sets, dining room sets, and bedroom suites from name brands, like Ashley, Simmons, Catnapper, Home Elegance, Corsicana Bedding, and Coaster. If you don’t need an entire set, you can buy individual pieces. Wholesale Furniture Outlet also sells power lift chairs, power sofa sets, and power recliners. They also offer lots of accents pieces: placemats, napkins and napkin rings, pictures, clocks, mirrors, and much more! For you bargain hunters, don’t foreget the closeout room. Wholesale Furniture Outlet offers no credit check financing and free layaway. Wholesale Furniture Outlet is located at 675 Bowers Street in Royston, GA. They are open Tuesday through Saturday from 10:00am-5:00pm. For more information, call 706-245-7300 or visit them at www.wholesalefurnitureoutlet.net. Also, follow them on Facebook and Instagram. We are proud to present the 921 WLHR Lake Hartwell Radio Business of the Week, Wholesale Furniture Outlet in Royston, GA. The 921 WLHR featured Business of the Week is the Ty Cobb Museum in Royston, GA. 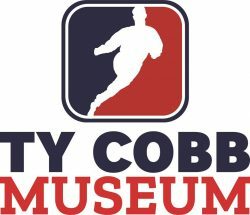 The museum features memorabilia and displays that highlights the life and career of Ty Cobb, the first player elected into the National Baseball Hall of Fame & Museum. For more information visit https://www.tycobb.org/ . Also, the Ty Cobb Museum presents The Georgia Legends concert featuring T. Graham Brown with Southern Impact, Saturday, April 6th at Swails Center in Franklin Springs, GA. For tickets and more information, visit https://bit.ly/2uaBsKc . The Ty Cobb Museum is located inside the Joe A. Adams Professional Building at 461 Cook Street in Royston, GA. They are open Monday – Friday from 9:00 am – 4:00 pm, and Saturday from 10:00 am – 4:00 pm. We are proud to present the 921 WLHR Business of the Week, the Ty Cobb Museum in Royston, GA. The 921 WLHR Lake Business of the Week, Owens Farm & Home Supply, located on Hwy. 106 in Toccoa, GA, and Owens Farm Equipment. 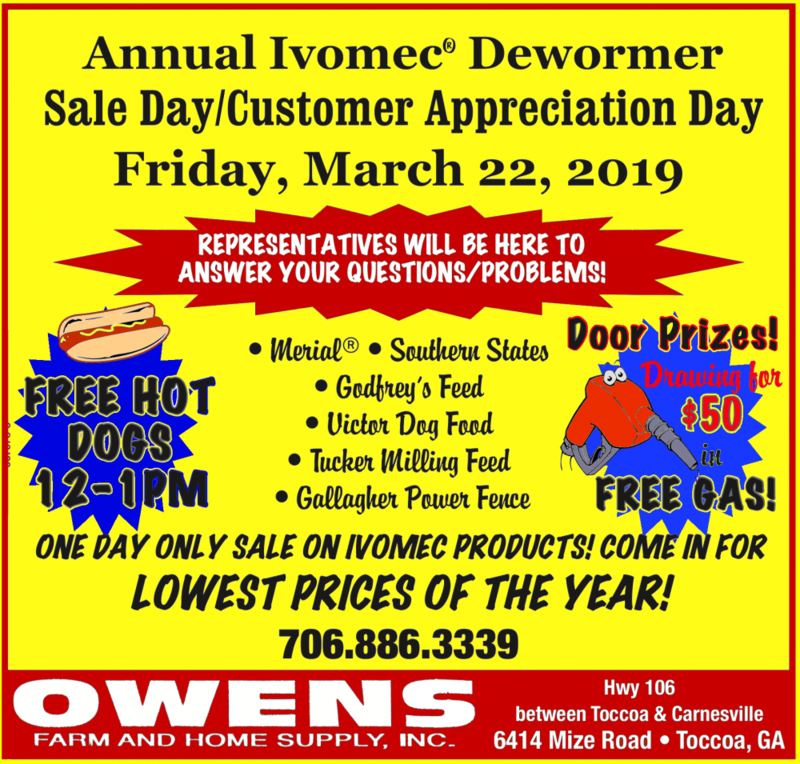 Owens Farm & Home Supply in Toccoa, GA will hold their Annual Customer Appreciation and Ivomec Sale Day on Friday, March 22nd. A representative from Ivomec will be present to offer discounts, and you will find the lowest prices on their products. Owens’ will offer free hot dogs from 12:00 p.m.-1:00pm, and register to win a $50 gasoline certificate (no purchase no necessary). There will also be great savings and sales across the store. In addition, many vendors, from companies such as Victor Dog, Southern States , Godfrey’s Feed, Merial Animal Health, Gallagher Power Fence, and Tucker Milling Feed, will be on hand to answer questions. We are proud to present the 921 WLHR Lake Business of the Week, Owens Farm & Home Supply, located on Hwy. 106 in Toccoa, GA. The 921 WLHR Business of the Week is Novus Glass in Lavonia. If you find yourself in need of Lavonia, GA, auto glass repair, contact the qualified team at Novus Auto Glass of Lavonia. By doing so, you will save time and money. If you are getting a tax refund, now would a great time to get your vehicle’s windshield repaired. They pride themselves on exceptional customer service and a quality team of technicians. Your repairs will be done right the first time. That is their promise. Locally owned and operated, Novus Glass works with your insurance company. In many instances, you will not pay a cent for repairs, because most insurance providers cover the deductible when you choose their service. Novus Glass have strong relationships with all of the major insurance providers, and many actually refer their clients to their shop. Also, Novus now offers headlight restoration. We are proud to present the 921 WLHR Business of the Week, Novus Glass in Lavonia. The 921 WLHR featured business of the week is Bobbers and Beer Family Steakhouse. They offer a great selection of food including, steaks, chops, seafood, and burgers. Bobbers and Beer Family Steakhouse is open daily from 11:00am-10:00pm. 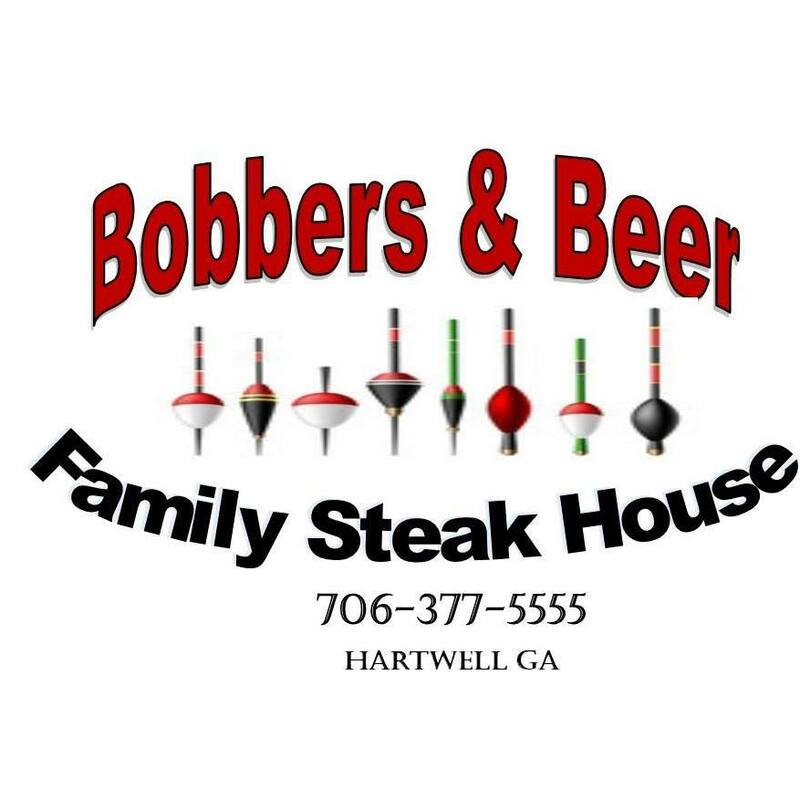 Bobbers and Beer Family Steakhouse is located at 1541 Anderson Hwy., Suite E in Hartwell, near Tractor Supply. For more information call (706) 377-5555. We are proud to present the 921 WLHR Business of the Week, Bobbers and Beer Family Steakhouse. This week we salute the Franklin County Chamber of Commerce. The mission of the Franklin County Chamber of Commerce is to advocate the advancement of business, civic, and educational interests of the community to improve the quality of life for all citizens in Franklin County. Consider joining the Franklin County Chamber of Commerce today. When you join the Franklin County Chamber of Commerce, you are committing to achieve excellence in Franklin County through business initiatives held in cooperation with other companies. Joining the Franklin County Chamber of Commerce means taking a step for the good of your business. For more information, including membership information, visit the new website http://www.franklin-county.com/ , or call (706) 384-4659. We are proud to salute the Franklin County Chamber of Commerce. 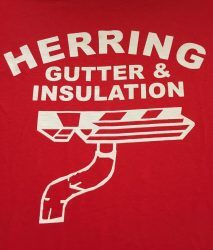 The 921 WLHR Business of the Week is Herring Gutter and Insulation. Herring Gutter and Insulation specialize in gutters, insulation, vinyl replacement windows, vinyl siding and gutters. They can also cut tree, trim limbs, and remove stumps. Visit their website at http://www.herringgutter.com/ , call them at (706) 376-8787, or stop by their office Monday-Friday from 8AM-5PM, at 351 W. Johnson Street in Hartwell, GA.
We are proud to present the 921 WLHR Business of the Week, Herring Gutter and Insulation. The 921 WLHR featured Business of the Week is The Old Corner Hardware Store. The Old Corner Hardware Store, listed on the National Register of Historic Places, offers a selection of salads, sandwiches, and desserts. They also sell chicken salad and pimiento cheese by the pound, so if you are not able to get by for lunch, you can enjoy it anytime. The Old Corner Hardware stores also have a newly renovated storeroom that is available for showers, parties, and other special events. The Old Corner Hardware Store is located at 919 Church St. in Royston. They are open Monday from 5:00pm-8:00pm, and Tuesday-Friday from 11:00am-2:30pm. To place an order or if you have questions, call 706-245-4182. We are proud to present the 921 WLHR Business of the Week, The Old Corner Hardware Store. 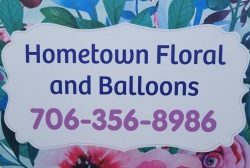 The 921 WLHR Business of the Week is Hometown Floral and Balloons in Lavonia, GA. They offer fresh cut and silk arrangements, and wreaths for any occasions. Hometown Floral and Balloons offers weddings, anniversaries, birthdays, holidays, and sympathy customized arrangements. They have roses (pink, yellow, purple, and red), as well as carnations, Gerbera daisies, and other flowers for Valentine’s Day. You can choose from their selection of chocolates and teddy bears to add to your sweetheart’s bouquet. 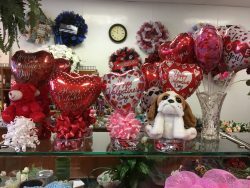 Hometown Floral and Balloons is located at 961 Ross Place, Suite F in Lavonia, GA. Their business hours are Monday-Friday from 8 am-5 pm and Saturday from 8am – 12:30pm, For more information, call 706-356-8986, visit them at https://hometownfloralandballoons.com/ , or visit them on Facebook at https://www.facebook.com/Florist2017/ . 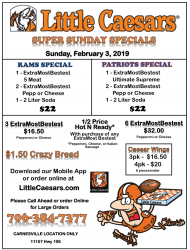 We salute the 921 WLHR Business of the Week, Little Caesar’s of Carnesville. The Little Caesar’s $6 Pretzel Crust pizza is back! This limited time offer, along with other deals, will be available on Sunday for the Big Game! Download their mobile app, or go to Little Caesars.com and place your order online. It sends you a message telling you your order is complete, and gives you a code. Come into Little Caesars, go to the Pizza Portal, enter your code, grab your items, and walk out. Little Caesar’s is located at 11157 Hwy. 106 in Carnesville, GA. Call in your orders at 706-384-PEPP (7377). The 921 WLHR featured Business of the Week is Missy Farmer Nationwide Insurance. They provide over 30 years experience with Nationwide and great rates in the North Georgia Area. Call (706) 376-3144 today for a quote. For more information, visit their website at https://agency.nationwide.com/diane-likens-in-hartwell-ga/missy-dorman-farmer . Missy Farmer Nationwide Insurance is located at 40 Benson St. in Hartwell, GA. We salute the 921 WLHR Business of the Week, Missy Farmer Nationwide Insurance. The 921 WLHR featured Business of the Week is Hartwell Glass and Mirror. Hartwell Glass and Mirror offers residential and commercial installation & repair of glass and mirrors, including store fronts, custom mirrors and frameless shower doors. Locally owned and operated, Hartwell Glass and Mirror, at 45 Cleveland Avenue in Hartwell, is open Monday-Friday, 8am-5pm. Call them at (706) 376-1435, or visit https://www.hartwellglass.com/ . We are proud to present the 921 WLHR Business of the Week, Hartwell Glass and Mirror. The 921 WLHR featured business of the week, Holly Thomason State Farm, is dedicated to providing personal service and value to you and your family. They are so thankful to be a part of the Hartwell community and strive to grow insurance in Hart county! With the new year approaching, it is time to take a look at your insurance. 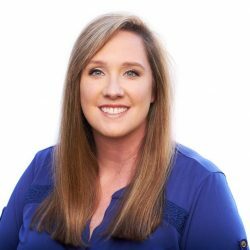 Let Holly Thomason State Farm make sure your insurance is up to date. You can follow Holly Thomason State Farm on Facebook, Twitter, Linked In, or at their website, www.hollyinsures.com . Congratulations to Holly Thomason State Farm for being the 921 WLHR business of the week.